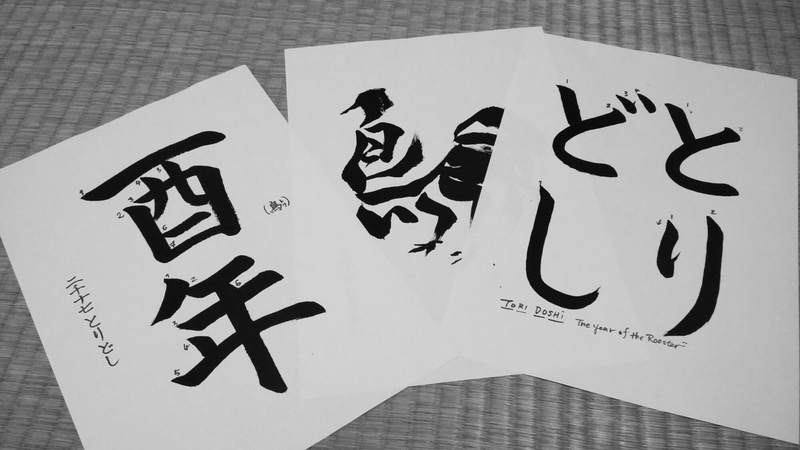 I first prepared three calligraphy texts for Kakizome, the new year’s calligraphy. 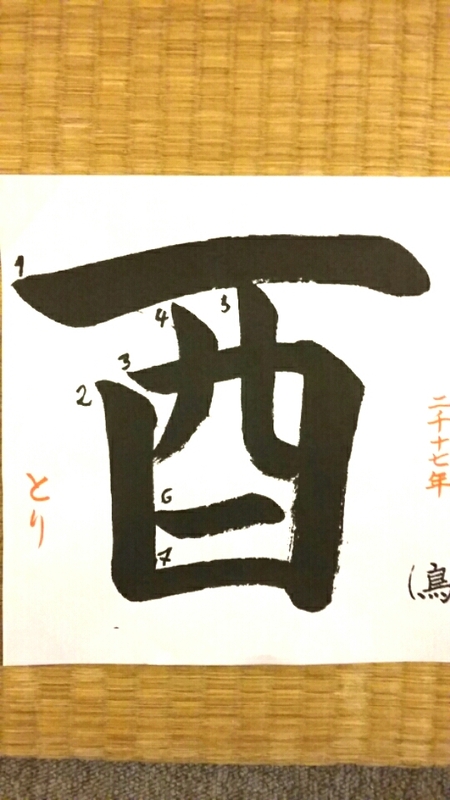 And one Sumi-calligraphy for the Rooster year!! “Tori doshi 酉年”: the year of Rooster. 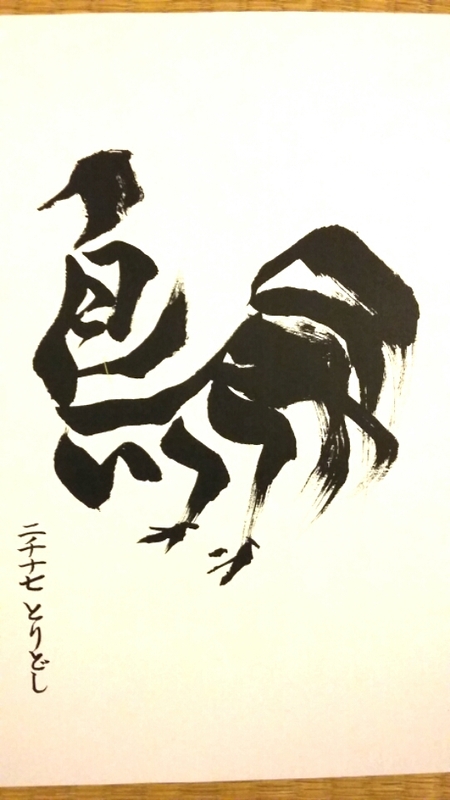 This Kanji Rooster, only used for zodiac calendar. 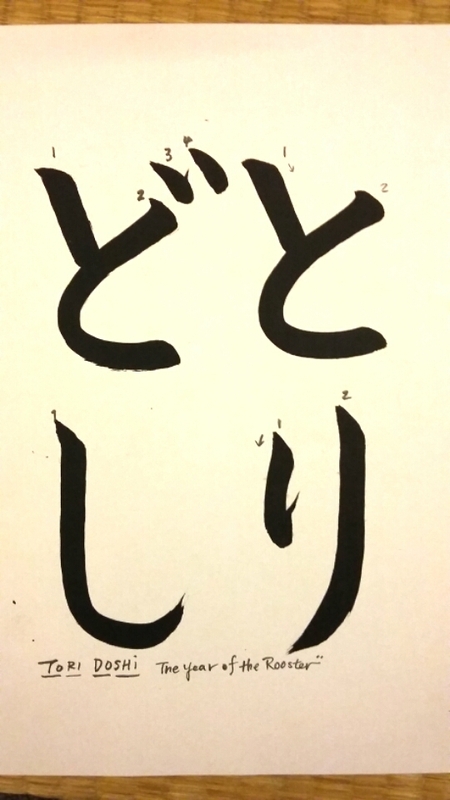 The text for kid’s calligraphy class. This Kanji literaturely means bird. At the end of lesson, I ask students what their new year’s theme/resolution is and let them pick a word that describes the theme, like “peace”or “stress-free” and so on… And I translate the word into Japanese and pick a best matched Kanji for the word. 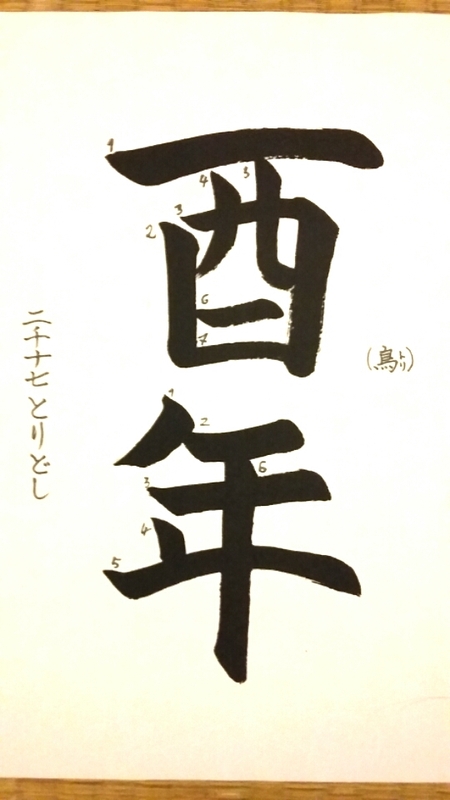 Student then calligraph-s the name, date and the Kanji on the best Seisho piece at the end.